Yes, I stole the title of this post from the name of a band. After hemming and hawing about the decision for the past few months, I have finally decided to pull the metaphorical lever and drop Facebook out of my life. I’ll keep it around for a little while in order to convert old logins to good ‘ol fashioned username+password but I won’t be posting or sharing things to my personal account. I’m done with that. Why? When I returned home from vacation (which was a short period of being “unplugged”), I realized that a large portion of my attitude and worldview was being negatively affected by the posts I saw on Facebook. This was the final push I needed to start the separation process. 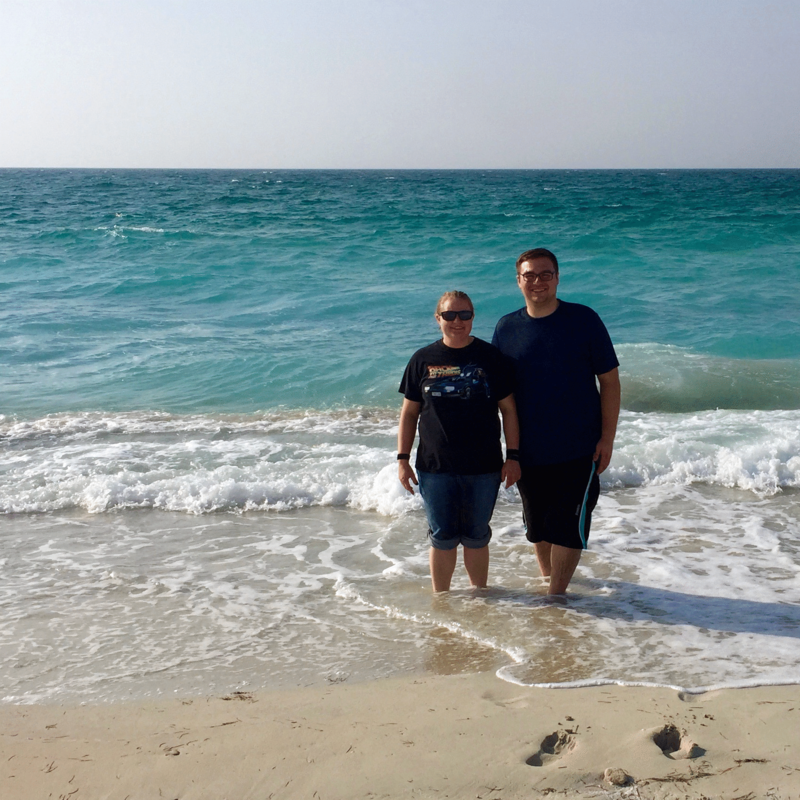 Took a small detour on our way to the airport to wade in the Persian Gulf. I don’t have anything against the service per se – Facebook has served me quite well over the years and helped lead to me and my wife getting married. But the attitudes of the people I have consistently encountered on my Timeline have worn me down to that of a bitter, old cynic. This is a person I do not wish to be. So, instead of walking the fine line of “unfriending” certain people while letting others stay, I find it a better option to simply cease that method of communication entirely. Change, while not always enjoyable, is healthy and advantageous to personal growth. The world that I saw through Zuck’s blue-and-white colored lenses was not. I’ve settled, for purely brag-tastic reasons, on October 31st as the “shut off” date which will then mean that I can say I was a “facebooker” for 10 years. I can’t decide how I feel about that in terms of it being “good” or “bad” so I’m settling on “interesting”. The time has come to resurrect the 20/20 Mirror and slim down my internet presence to a more manageable size. If you so desire, feel free to “follow” me here. You will get a simple email update whenever something new is posted from which you can then decide if you want to read what I have to say. You can even comment and “like” posts if you feel the urge. I’d be much more interested in connecting with you face-to-face though so don’t hesitate to call me up sometime: we’ll get coffee at Luckman’s. Bye, Facebook. It’s been __________.